Dr. Shelly Choo currently serves as the Senior Medical Advisor for the Baltimore City Health Department. In her role, she leads convenings with city physicians, particularly around behavioral and population health initiatives. She previously served as the Senior Medical Advisor with B'more for Healthy Babies and the Bureau of Maternal and Child Health where she oversaw the bureau?s provider outreach efforts and safe sleep trainings. During this time, she worked with various healthcare staff to improve efficiency of linkage to care to the city?s central triage referral center. She is board-certified in General Preventive Medicine and Public Health. 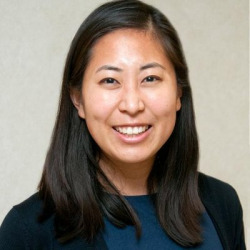 She has previously served as a Senior Health Policy Fellow with the FCC?s Connect2Health Task Force and worked to expand broadband availability to underserved areas for improved access to telehealth services. She also previously served as a Medical Fellow at NBC News Health working with producers to help develop stories for web and TV.